Remember the popular campaign "Vote or Die" that started in 2004? The campaign was created to get young people to vote. It sought to educate young people on how voting works and the importance of their participation. A record number of youth signed up to vote in 2004. If you are still not quite sure how voting works, read my blog post HERE. harshly bashing the candidates via social network. There is even a way, via your Facebook account, to determine which of your friends support which candidate, so you can then "unfriend" them if necessary. The public is even going so far as to protest the appearance of Presidential hopefuls in their city. The people believe the views of Presidential candidates are so controversial and their actions so disgusting, that they don't even want them to step foot in their hometowns. 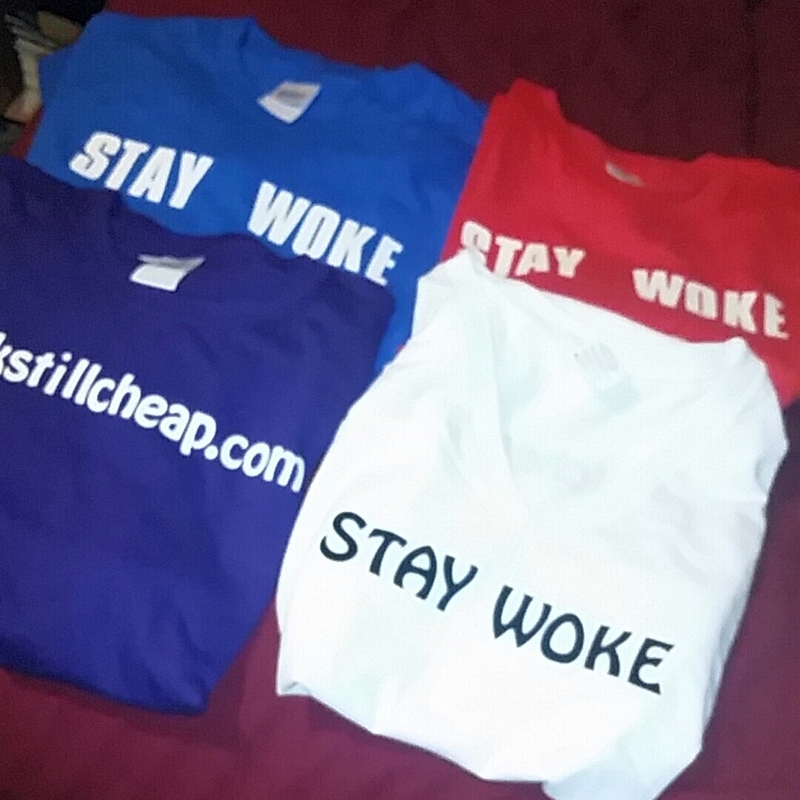 Just as you were challenged to "VOTE OR DIE", I want to challenge you to "STAY WOKE" this Presidential election year, 2016, and even beyond that! STAY WOKE means, I'm aware of my surroundings. I won't be misguided because my beliefs are strong. Pointless rhetoric won't convince me to change my views. Because the news is no longer talking about Flint, Michigan doesn't mean you no longer care that they are still in need. When you "Stay Woke" you are conscious of the world you live in and you won't be easily swayed because you are abreast of ALL of today's issues. "Reality" TV is not your only topic of discussion about what's going on in the World! Wearing this shirt tells your audience that you aren't an easy target. You can't be fed lies and false promises and be expected to act accordingly. You tell your audience that you are on top of things, be it business, personal, political, and/or spiritual. What does "STAY WOKE" mean to you? Will you help me spread the word and make it clear that we are a conscious society. 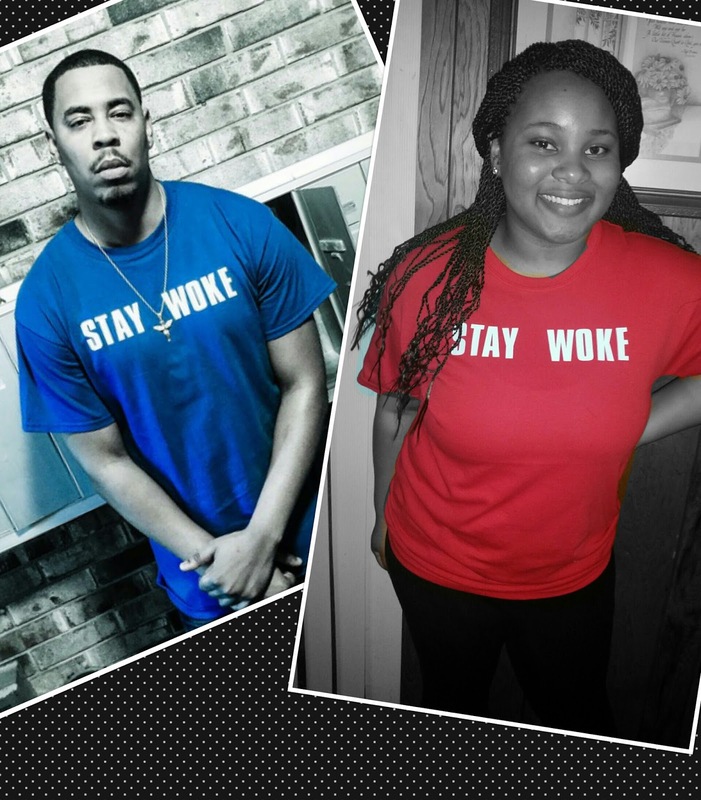 Support my campaign by purchasing your own "STAY WOKE" tee. Tees are $15 + 3.99 for shipping (no shipping cost, if local in the Memphis area). Price may change for sizes above XL and for hoodies and V-Neck options. Select your color in the comment section of your purchase. Any other questions, email info@talkstillcheap.com. To begin your purchase click on the "Buy Now" button to the top right side of this page, below the image of the t-shirts! For all lists of items click on the "shop" button at the top of the page!